“By cutting this funding the Federal Government will entrench existing generation technology and stifle advances in dispatchable renewable energy that Australia needs if it is to meet its carbon reduction commitments,” said Minister Koutsantonis. “ARENA also helps creates investment and jobs in this growing industry around Australia, and particularly in the North of South Australia,” added Koutsantonis. Calling for the Parliament to “do everything it can” to protect ARENA funding, Mr Koutsantonis has sent a clear signal to Federal Labor counterparts to vote down the cuts. SA opposition leader Steven Marshall and shadow energy minister Dan van Holst Pellekaan (a long-standing supporter of Repower Port Augusta). Strong advocacy from the South Australian government may help tip the balance. And it would be bolstered with support from the state Liberal party opposition. Will Liberal leaders Steven Marshall and Dan van Holst Pellekaan stand up for jobs by calling on the Federal Liberal government to retain ARENA funding? 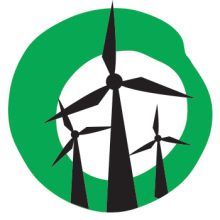 It’s an opportunity to demonstrate the opposition’s renewable energy and jobs credentials. Growing renewable energy is creates jobs and investment for regional communities–something all political parties can support. Join the renewable energy defence… Show your support by taking a #DefendRenewables selfie and posting it on social media (make sure you tag @Yes2Renewables). Previous Previous post: ACT Libs back 100% renewables target: Will Matthew Guy lead by supporting VRET?